Obesity is pervasive throughout the United States. Although the adult obesity rate leveled off in 2017 in all but six states according to the most recent Behavioral Risk Factor Surveillance System (BRFSS) data, that 'stable' rate is still alarmingly high. Defined as having a body mass index (BMI) of 30+, the obesity rate for American adults exceeds 25 percent in all but two states. In the Southeast, however, the only state that falls into the obesity rate range of 25-29.9 percent is Florida. The rest of the region is significantly higher. Kentucky, Georgia, North Carolina, South Carolina and Tennessee all have an adult obesity rates of 30-34.9 percent. Alabama, Arkansas, Louisiana and Mississippi - along with Oklahoma, Iowa and West Virginia - are the seven states where the obesity rate has now exceeded exceed 35 percent of the adult population. While obesity rates might have leveled off, rates of diabetes continue to climb across the country. "Whenever there is a high prevalence of obesity and diabetes, there is a high prevalence of heart disease and stroke," noted W. Timothy Garvey, MD, FACE, the Butterworth Professor in the Department of Nutrition Sciences at the University of Alabama at Birmingham. "Obesity causes increased mortality," he continued, noting the mortality rate follows a J curve. "When the BMI gets above 30, the correlation (between obesity and mortality) becomes statistically more significant." A noted researcher in the field of obesity and diabetes, Garvey recently spoke at a healthcare conference in Nashville about the physical, financial and personal toll of obesity. Garvey said one of the first steps in becoming more aggressive in treating obesity is to recognize it as a disease state, rather than a lifestyle choice. "Like any chronic disease process, there are both genetic and environmental components to it," he stated. 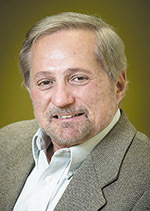 Garvey, a physician scientist and GRECC investigator for Birmingham VA Medical Center, said obesity, which is an exaggeration of normal adiposity, can lead to insulin resistance, which can then move into prediabetes and metabolic syndrome and lead to Type 2 diabetes and cardiovascular disease. Also of concern, he noted, is the epigenetic impact in utero of gestational diabetes. Garvey said having a mother who is obese or who develops gestational diabetes "programs the child to have this cardiometabolic disease phenotype," and gives rise to the intergenerational transmission of obesity. "To break the cycle, we need to be healthier as adults." And finding a way to break the cycle is critical, Garvey continued. Not only does obesity often come with the comorbid conditions of diabetes, heart disease, hypertension, polycystic ovary syndrome, elevated cholesterol and non-alcoholic fatty liver disease, but the disease is associated with higher risks for cancer, depression and gallbladder disease. Add to that, obese patients often face a host of biomechanical complications including sleep apnea, osteoarthritis, stress incontinence, GERD and lessened mobility. The cost ... both in terms of human toll and financial outlay ... are staggering. The Milken Institute estimates obesity directly accounts for $147 billion annually in healthcare cost and billions more in absenteeism and presenteeism. Factor in care for the host of comorbid complications including heart disease and chronic pain that come with obesity, and Garvey said some estimates top $1.4 trillion in total cost. "That's two times the national defense budget," he pointed out. Yet, there hasn't been a public health outcry loud enough to make aggressively addressing and treating obesity a top priority. "We're paying for this disease," said Garvey. "We haven't decided to pay for treatment of obesity in a concerted manner, but we're paying for the impact of obesity big time." "The good news is we have the tools to do something about this," said Garvey. "If you lose 10 percent of your body weight, this prevents progression to diabetes in 80 percent of people," he continued. "We know this from the Diabetes Prevention Program and phase 3 clinical trials." Garvey added, "It makes no difference how you lose the weight." This distinction is important in that lifestyle modifications alone aren't always enough and often must be paired with medications and/or surgery. He explained the pathophysiology of obesity impacts satiety hormones and the satiety centers in the brain. When patients lose weight, brain mechanisms work double time to encourage weight regain. "That's what they're fighting against and why they need extra help sometimes," he said of interventions beyond diet and physical activity. Garvey said medications are not as rigorously prescribed for obesity as for other chronic conditions. He said he believes there is both a bias that obesity is a lifestyle choice rather than a disease and lingering negative perceptions surrounding older pharmaceutical treatments. "Some healthcare professionals have this memory from the past that obesity medications are harmful so there is a legacy perception." However, liraglutide and phentermine/topiramate have been shown to be effective in managing weight loss and preventing progress to diabetes. "We're not using our tools. One reason is the at-risk pool is so huge it becomes daunting," said Garvey of aggressively treating nearly 40 percent of the adult population. However, he continued, "We can risk stratify these patients. We have a rational way to intervene using effective, evidence-based tools targeted to those at highest risk, which effectively prevents diabetes and improves the benefit-risk ratio and improves cost effectiveness." Garvey, who also serves as director of the UAB Diabetes Research Center, was part of the team who created Cardiometabolic Disease Staging (CMDS), which looks at obesity in much the same way as other diseases are staged. Someone at '0' is considered 'healthy obese' with no metabolic syndrome traits. On the top end of the scale, someone staged at '4' is considered 'end-stage cardiometabolic disease.' Garvey noted, "We've developed a way to stage these patients using readily available clinical information." The staging, he continued, corresponds to American Association of Clinical Endocrinologists (AACE)/American College of Endocrinology (ACE) clinical practice guidelines for comprehensive medical care of patients with obesity (see AACE.com under the publications tab). Garvey, who was lead author of the guidelines, noted using the staging model and guidelines in concert gives providers an evidence-based model for patient care with the tools to know when to treat more aggressively and guidance on modality options and intensity. While scoring puts the focus on patients with progressive disease at highest risk of developing diabetes, Garvey was quick to say providers should discuss healthy lifestyle modifications with obese patients at any stage, noting even those deemed 'healthy obese' often have biomechanical complications that could be improved by losing weight. In this season of New Year's resolutions, it's a great time for providers to resolve to tackle obesity more aggressively to help those at highest risk of developing complications face the new year with new hope. Наш важный блог на тематику www.cleansale.kiev.ua. В интеренете нашел нужный веб сайт на тематику уборка кинотеатров цена.